Hello! I decided to make a tag for my share from The Alley Way Stamps today. I used the new background stamp 'Love Knots' on the front of the tag, and the sentiment is from the set 'Bite Size.' After stamping the front of the tag, I die cut the bird using the Perched Reed Bird die from Memory Box, and put some clear rocky candy Distress Stickles in the negative space to add some sparkle. 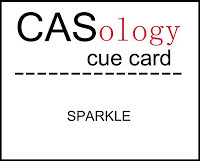 As my tag has some 'sparkle', I am going to put it in the latest CAS-ology challenge. cute, cute, ca-ute!! love your sweet little tag...thanks so much for sharing with CASology this week! Love love love this! I am going to have to get that bird die....it makes the whole tag sing! 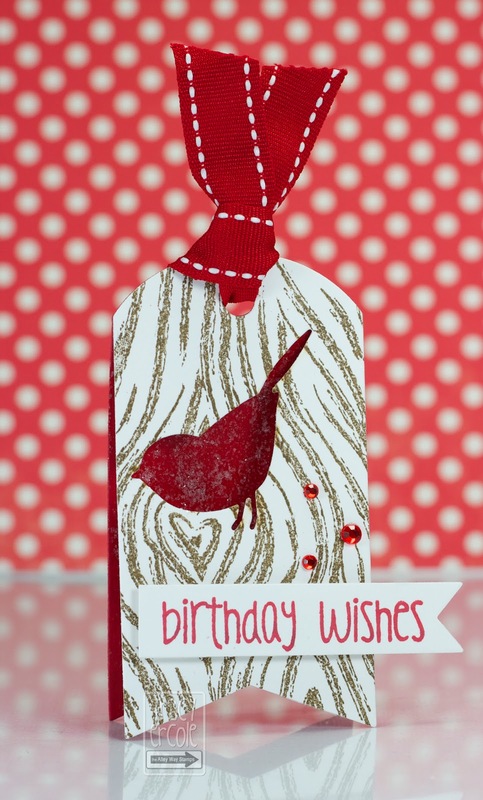 Love the heart shaped woodgrain and the pops of red - the bird and the bling - this is just lovely! Thanks so much for playing along with us at CASology this week! A fantastic woodgrain stamp Tracy, and a lovely card. Thank you so much for sharing with us this week at CASology! L-O-V-E!! :) This is so sweet! Thanks so much for joining us at CASology! Fabulous use of the negative die cant! Thanks for playing along with CASology this week! Little Tangles - Challenge 2: Happy Holidays!